Playgrounds for Useful Knowledge was built as a pilot project to test new ways for Mural Arts to engage communities through social practice. CohStra’s work is process-oriented action research, and while major actions can be documented through photographs and videos, these actions are built on daily interactions, tensions, and partnerships which are much more difficult to record. 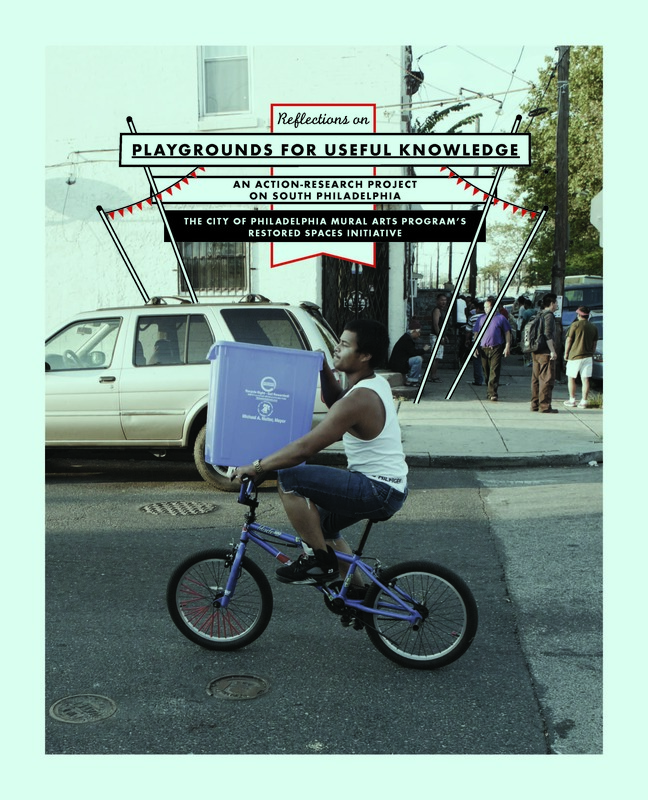 Reflections on Playgrounds for Useful Knowledge features four critical essays by key thinkers on the Playgrounds project: curator Lucía Sanromán, community organizer Beth Uzwiak, project manager Shari Hersh, and Maria Rosario Jackson, PhD, who acted as assessor for CohStra’s project. 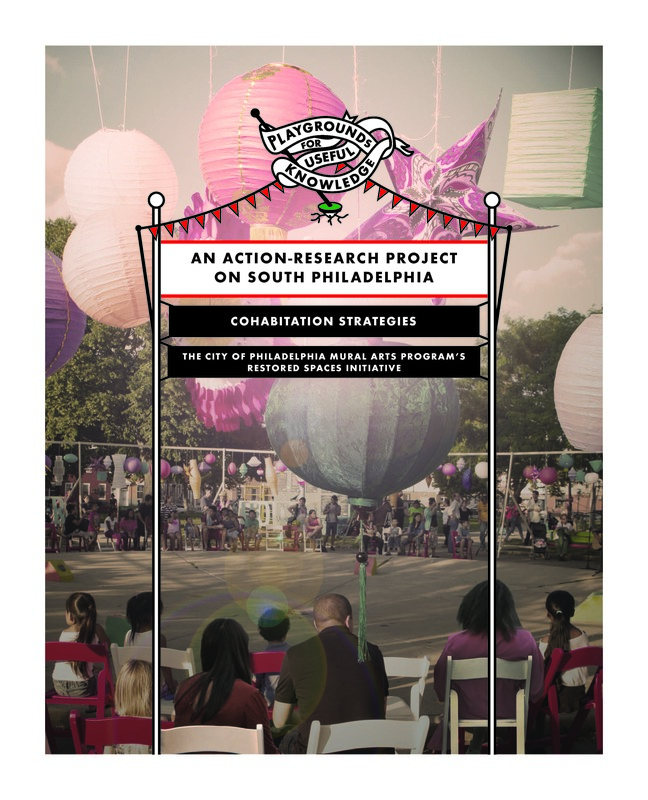 The four essays presented here discuss particular challenges posed by Playgrounds, as well as learnings which apply across social practice, focusing on the various roles individuals played and how various partners worked together to build a process-based project.